Yesterday I went straight from work to the south bank to meet up with my aunt, her partner and my cousin. There was an Alternative Families festival thing on at the South bank Centre and, with my cousin being adopted and living with 2 mums, they thought they would take a trip down to see what was going on! There was lots of cool things for kids to do all day, with alternative fairy tails (such as King and King and Tango Makes Three) talks about alternative families and much more. We even found a jolly farmer with some baby animals we were allowed to feed and hold! 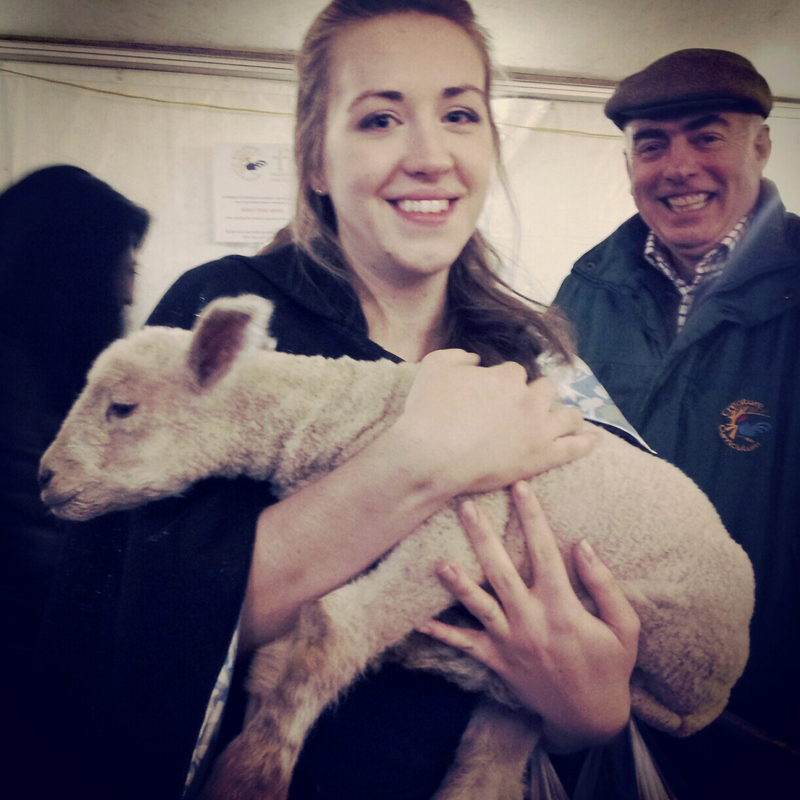 I wont lie, I almost stole one of the lambs because they were so darn cute! We are all so proud of her, she’s come a long long way since she was first welcomed into our family when she was quiet and extremely shy. Now she is such a bright, bubbly, loud and completely lovely little girl! I definitely think she spoke some very wise words there and her mums should be very proud. In fact we all should be, and most definitely are, proud. She was also asked if she would like to appear on a future TV show called ‘My Life’ which she was very excited about. Again it is a show following Alternative families and sounds very exciting. I think she’s a star in the making!